Our hope for the recently leaked Anzu (likely to be known as the Xperia X12 at retail) handset from Sony Ericsson was that it'd be the company's Android Gingerbread flagship, but here comes international super-reviewer Eldar Murtazin popping that bubble for us. The good man from Russia has a preview unit in his secret lab and reports that it currently only runs Android 2.1, with the intention being that launch devices in early 2011 will start off with Android 2.2 before getting their Gingerbread (2.3) fix in a later update. 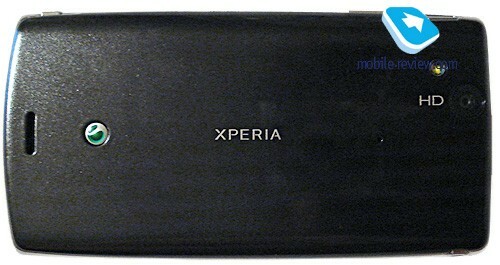 He also notes a 4.3-inch display with 854 x 480 resolution (just an LCD, nothing exciting), an 800MHz Qualcomm MSM7230 (same as in the T-Mobile G2 / Desire Z) powering things inside, and a 12 megapixel imager mounted on the back. The latter is naturally capable of recording 720p video, while early performance impressions are that the stock Android interface flies. Alas, Eldar expects SE to layer its own customizations on top, which adds to his disappointment with the general build quality of this device -- it's thinner and lighter than the X10, but apparently feels cheaper to the touch. Hit the source link for his comprehensive preview. Let's also not forget Eldar's tweet from the weekend when he said he was playing with the Anzu and the Galaxy 2 (aka Samsung i9100, according to him). Given that the first of those devices has now indeed made its way onto Mobile-review, the veracity of his second claim -- that the upcoming Samsung handset would be a dual-core beastie -- now seems a lot less questionable.